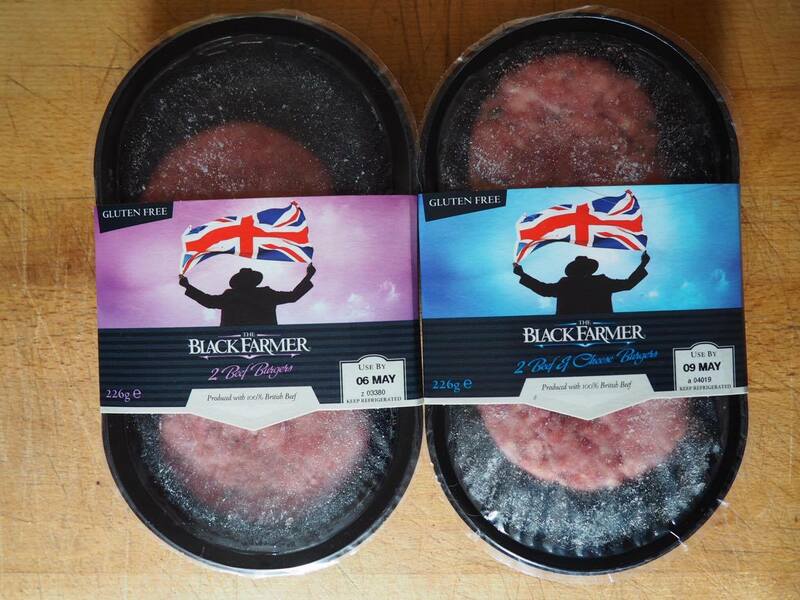 The Black Farmer Beef Burgers. Earlier this week, I was sent out some if these Beef Burgers from The Black Farmer to try and and let you all know what I thought. Two regular Beef and 2 Beef & Cheese. When I was told that they were going to be posted out to me, I was a little confused as to how that would work. I mean, raw meat in the post? Eww. But, they came in a well packaged freezer bag which ensured that they were kept fresh and lasted the journey to me. As soon as they came, I popped them into the fridge ready to make later when Ashlea came round to mine so that he could show me the best way to cook a burger. The Black Farmer was set up by a guy called Wilfred Emmanuel-Jones, originally from Jamaica but relocated to Birmingham before setting in the Devonshire countryside where the company is now based. All of the meat used in his products are not only British but also RSPCA assured and completely Gluten/ Wheat Free. I had a read through the ingredients and discovered that instead of regular flour, Soy Bean flour is used. I was sent out burgers to try, but The Black Farmer also sells Sausages, Meatballs, Chicken, Bacon, Eggs and Cheddar Cheese. The first thing we did was seal the patties off in a frying pan using a splash of Olive Oil. It was during this time that we noticed how amazing these smelt as they began to cook. Lots of different flavours and seasoning coming through. 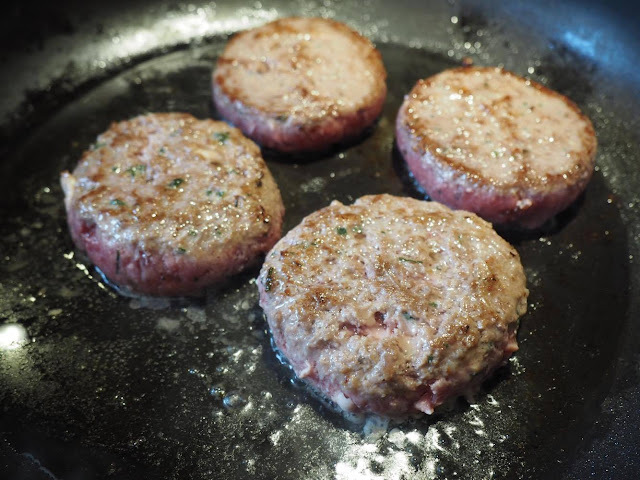 During this time, the size of the patties reduced quite significantly which is usually the case when the meat has a high water content. The only reason that I can think as to why this may have happened is that the contents of my package were sent frozen, therefore defrosting whilst taking their journey through the postal system. The freezing of the meat will mean that the water content will be higher. 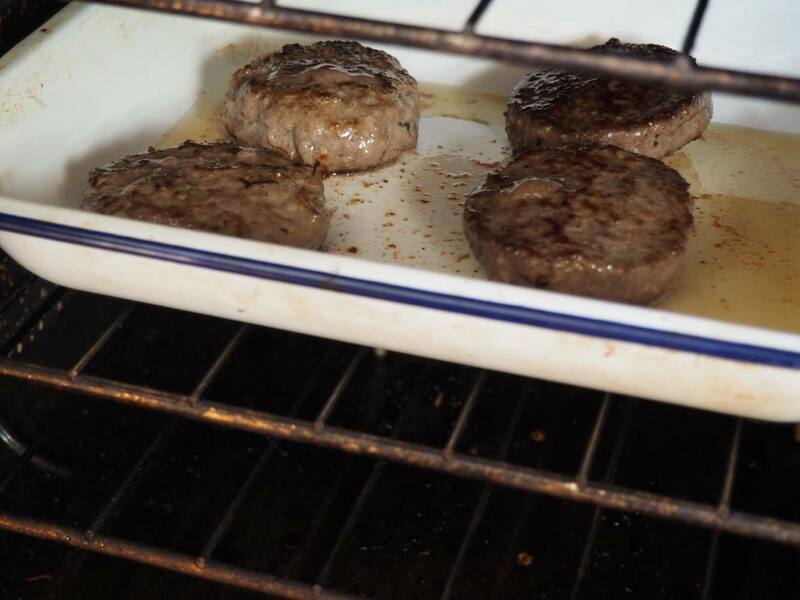 Once sealed, it was into the oven until the patties were cooked through. We made sure there was a little bit of pink in the middle, but not too much as I don't like that. 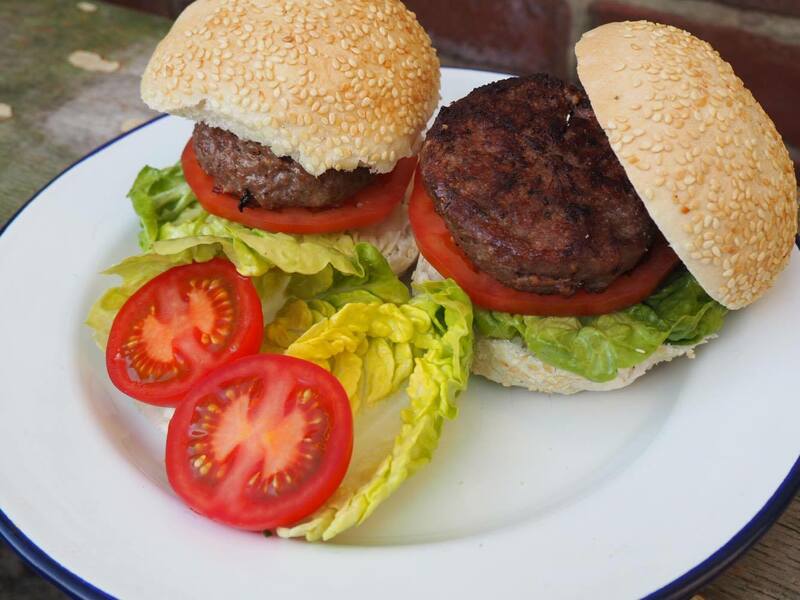 Whilst the burgers were cooking away, I prepared some Sesame Seeded Burger Buns with Mayonnaise, Baby Gem Lettuce and a nice slice of Beef Tomato. This is what we ended up with! I had my sights set on the Beef & Cheese but made sure to have a taste of each flavour and was certainly not disappointed. They tasted as amazing as they smelt. The meat was such good, high quality that you couldn't not enjoy eating it. It was well seasoned, full of flavour and remained super juicy. The burgers that contained the cheese didn't come across as 'cheesy' as I'd hoped but there was a hint of it there lurking in the background. I think someone who loves cheese as much as me will add a extra slice on top next time! Also, one of the things that I loved most about these burgers is that they contained absolutely no gristle. There's nothing more off-putting to me than a gristly burger. I'll definitely buy these for myself - they'd be perfect on a summer BBQ. Take a look at The Black Farmer range on the website here or check out where you can buy them for yourself using this stockist locator.